Blog | B&K Timber - The Most Unique Timber Gates in Staffordshire! Home / Blog | B&K Timber / The Most Unique Timber Gates in Staffordshire! Wondering how to revamp your driveway or garden this summer? Consider one of our gates in Staffordshire from BK TImber that’s bespoke made to suit your unique style. With so many years in the gate and joinery industry, our team have become highly skilled and we can create intricate gates using unique details that are personal to your home or interests… A gate we recently designed had the Stoke football ‘SCFC’ engraved and it had over 1.1K likes on our Facebook page! Of course, alongside these quirky styles, we also have a range of modern and traditional styles that are truly breath-taking. Who’d have thought that our gates in Staffordshire could have such an impact on exteriors, and with so many fantastic comments over the years, we have perfected our range to have some of the best designs in Staffordshire! Our joiners have supplied products to many important events such as Winter Wonderland, industrial sites, and even large businesses, so achieving your ideal gate will be a quick and easy process that we guarantee you will not find anywhere else. 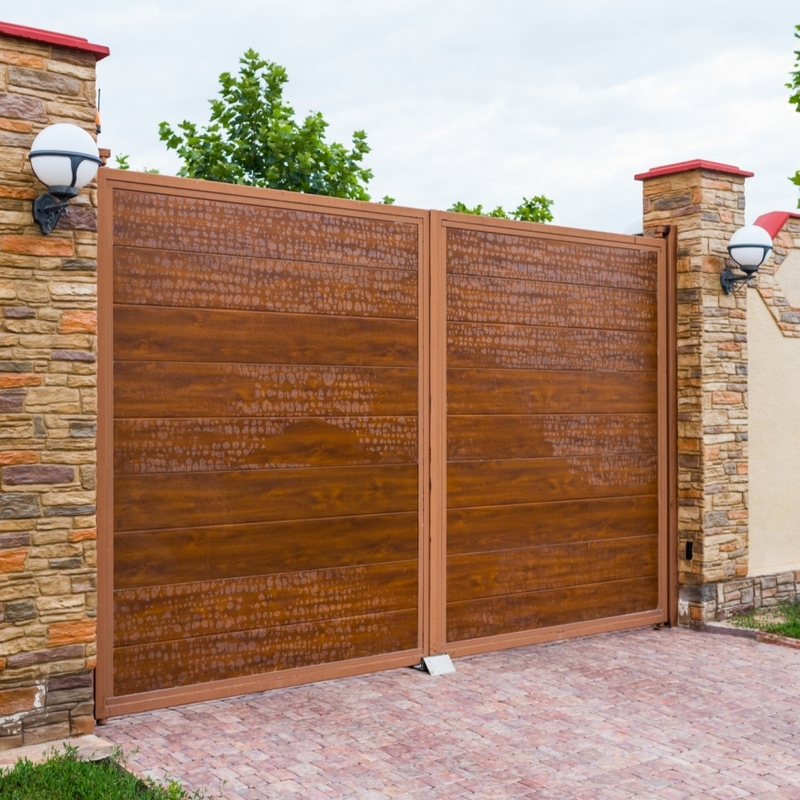 Lets say you want to transform the entrance to your home with a beautiful grand driveway gate… Using our online gate builder and measuring guide you can design your own that tailored to your size and we will even help you along the way if needed. Maybe your planning to spend some time in your garden this summer? Install one of our charming garden gates in Staffordshire to keep our intruders and have privacy whilst you relax – this is exactly what you need to remain the safety of children and pets. So, if you’re impressed by our fantastic supply of gates in Staffordshire, simply contact us today if you have a specific design that you want to achieve. On the other hand, follow our steps online to have total control! Click here to take a look at other services such as windows, doors, fencing, sheds, summer houses, and much more.